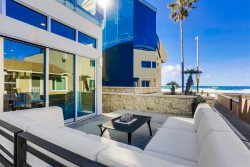 As a guest of Bluewater Vacation Homes, you can automatically take advantage of savings with providers of popular services and activites while visiting San Diego. Just mention that you are a guest of Bluewater Vacation Homes and get ready to have fun and save at the same time! Visitors to San Diego have so many options. Here is some information to help navigate and discover this unique and wonderful destination. If you would like help planning your activities, your Bluewater Vacation Homes Concierge is ready and waiting! With its dramatic coastline and panoramic views from Mount Soledad, sightseeing is one of the most popular activities in La Jolla. Otherwise you`ll find a community rich in heritage and culture along with some of the best beaches in the country! Centrally located and close to all of San Diego`s most popular attractions, these are San Diego`s most popular beaches for a good reason. The Boardwalk, Belmont Park, Mission Bay, Sea World, restaurants and beach boutiques, it`s all here! This is the perfect place for your next vacation rental! San Diego`s climate means terrific year `round events so you can plan your stay around your favorite. From the Padres to Comicon, Bluewater Vacation Homes will put you close to all the action and fun! Will your favorite team or band be playing during your visit? Here you can browse sporting events, concerts and theatre shows within 2 hours of San Diego. Search by your dates of stay, and then purchase your tickets in advance to get great seats! Feel like a local in San Diego! Conciergo provides you with automatic access to everything in your surrounding neighborhood; no matter where you are in the country!